So my friends and I are looking at potentially going as a group when we are finally able to go but we all have different nations we want to go be in. That’s fine, a player told me that we can still be a part of our group with only a few minor things. Me with the goal of being from the League decided that having us all as a part of a mercenary group, the Black Wolf Company would be a good idea and I started organizing it with my friend who is the other “leader” of our group who wants to be Wintermark. When planning things out though, we came up with the concept of ranks in our Company and how he didn’t think that Wintermark had them. I’m talking about things like Captains and Sergeants. So that got me thinking, how does ranks work with all the nations? Who reports to who and who organizes what? I know there are definitely generals but other than that, I am not sure what goes next. TLDR: How does ranks (like Captains, Lieutenants, and Sergeants) work in the 10 differents nations? You will usually find who has most power by looking at the voting system. In the brass coast, it is usually done with wealth. Who ever is richest is most likely most important. With dawn it is the nobles and then usually the most senior or those with the most glory. With Urizen it is all about magic and who has the most lore and magical power. With winter mark and the imperial orcs, I believe it is all to do with you deeds. This can give you power in all nations but that isn’t something that is built into each nation, it is something that the players must decide to acknowledge. When it comes to captains, lieutenants and sergeants however, it will probably all be down to martial prowess. It will also be less about personal fighting skill or grand strategy and more about how you can hold a group together and tactics on the go. I’m not sure if this was what you wanted, but I hope you find it interesting. There are no real ‘ranks’ in any nation of empire. It’s a design goal of the system that no player has the authority to tell another player “do this thing”. Certainly a Cardinal or General can say “do this thing” and if you don’t there can be political fallout, but you can argue your case and it’s not set in stone you have to follow their orders. Also, you will have issues as a cross nation mercenary group. You won’t be able to fight skirmishes or battles together, and very few people will pay you for fighting. You can be friends across nations, but the system supports single-nation groups much better. It’s an interesting point. While I suspect that the Imperial Armies are organised on a standard scale (blame Empress Varkula, if not the First Empress), warbands and mercenary companies are likely highly varied. Have you considered having one of these, in backstory at least? So. I’ll answer your TLDR question first, but I think there’s also a couple of things to comment about your mercenary group. In short? However you want them to, but nothing is official. The only actual common meaningful military titles in the Empire are General (“person enshrined with authority to command an army”) and Adjutant (“person appointed as General’s second”). Different player groups and nations might use other titles like Captain, but ultimately they only mean what that group/nation broadly agrees they mean. As @thresher says, though, none of these ranks necessarily “mean” anything in the game itself. Apart from a General being able to control an army (which never includes the actions of an actual Player Character), there is no ability to order anyone to do anything. that got me thinking, how does ranks work with all the nations? Who reports to who and who organizes what? I know there are definitely generals but other than that, I am not sure what goes next. So the Generals & Adjutants (plus some ancillary titles) report to the Military Council (which is formed of all of them), which has its own couple of ways of feeding through to the Senate. Incidentally, it’s the Senators of each nation who select the Generals. On the field, there are concepts such as the Field Marshal - someone who the Military Council appoints to be the overall leader of the Imperial forces at an uptime battle - who reports back to the Military Council. But again, they have no legal power to order anyone to do anything (which doesn’t mean people won’t listen to them). Off the field, it can be presumed there are all sorts of different positions within each Imperial Army. I know Generals have received IC messages from people in their Armies - I think Plot Writers have just looked around for a title that “felt right” rather than consulting an actual list, because it’s likely both beneath the abstraction layer (i.e. too much detail to worry about specifying as a Game Concept) and different for each army. The Civil Service also collates reports on all the Armies - presumably through some sort of bureaucracy or hierarchy within said Armies combined with divinatory magic - and presents this to the Military Council each summit. Again the details of this are left below the abstraction layer unless they need to be specified for a particular Plot. So my friends and I are looking at potentially going as a group when we are finally able to go but we all have different nations we want to go be in. That’s fine, a player told me that we can still be a part of our group with only a few minor things. Cross-nation groups are explicitly discouraged by the game. You can’t be part of the same band mystically, which means you can’t benefit from group magic items, and a lot of your means of co-operation are taken away. It’s possible to have a Sodality - a cross-nation organisation of some kind - but they tend to be more than just a band of fighters. Also, national politics and plot will likely take people towards their nation rather than the group you’re making. Have you considered possibly more discussions and a potential compromise on nation choice if you do want to actively play together? Me with the goal of being from the League decided that having us all as a part of a mercenary group, the Black Wolf Company would be a good idea and I started organizing it with my friend who is the other “leader” of our group who wants to be Wintermark. A Mercenary Group is quintessentially League (a Free company), but it’s not a very Wintermark concept. Wintermark is riddled with the concept of heroism, whilst Free companies are typically driven by profit. And as others have said, there may well be issues with fighting together - if, say, Wintermark and the League are fighting different battles (one on Saturday and one on Sunday), then you won’t be able to take the field together without getting a Mercenary Banner just for one of you. You might be able to find some skirmishes (which generally aren’t nation-limited), but they tend to be targeted at specific nations. Having a League free company with key ideas about fighting together is a great concept. Mercenary groups tend to find it a little tricky at Empire - where you could theoretically charge people for the pleasure of going on skirmishes rather than paying people to risk their lives - but it has been done and people get a lot of enjoyment out of it. I guess what I would ask back is: why do you want to play in the League? Why does your friend want to be a Winterfolk? What other nations do your friends want to play, and why? You might be able to find some common ground there. The ranks would mostly be able to organize those of us under the company banner. With the goal of having a decent sized group(and maybe spreading it to other LARPs as well), I wanted to have some form of organized hierarchy that everyone in the group could accept. Unfortunately, both of us are pretty set on who we want to be(and have our own base kits put together). We’ve been talking about it for about two years now(Uni has been holding us back) and when the player I talked to said that we could still fight together, we did not think too much more on it. I am aware of Free Companies(Hence naming it the Black Wolf Company) though I’m not to familiar with the Wintermark part. TBH, I’m not sure he is to familiar with it either as his interest is mostly in who Wintermark is inspired by and maybe a bit of hyping from Mark Hulmes’ videos. For me though, I researched the League a bit more. Originally I was going to look into being Dawn or Highguard since I am a fan of plate armor. After reading through the wiki, I found that I enjoyed the idea of being League more. From the style of dress to the flamboyant nature. So far our other friends are undecided but one of them wants to be a ranger since that’s what she always plays in D&D, though she does not have anything put together yet. You may have a great group concept, and then everyone in the group wants to do their own thing. I’m afraid the best I can advise is that you work out who wants to play in what nations, ensure that everyone joins (or forms) the groups they most like, and establish a backstory to accomadate you all knowing each other. That way you can all meet up socially, even if you’re camping apart. Thank you for the information. Stuff like that was what I was looking for. The specified bit and the information about Dawn was particularly interesting and applicable. Though yes, I am now being informed about the issues with having a group with multiple nations. It is unfortunate that the information I got a while back turned out to be wrong for the most part. Ah. No I did not realize that. I haven’t been yet so I assumed the people who have had all the answers. Thanks anyway though. There’s the stuff on the wiki. There’s a little more established in play, which usually goes on the wiki pretty quickly. And then there’s information that is below the abstraction layer: the stuff that isn’t important to the game, and so isn’t officially defined. Precise military structures of the armies, free companies, and Military Units in player ownership. This adds a lot of simple playability and individual freedom (“You spend 2 crowns to be assigned a military unit. It’s your nationality, and strength X. Other than that, make stuff up.”) but at the cost of official guidelines (“Does a Sergeant in the Marches command as many troops as a Sergeant in the Freeborn army? Do the soldiers get paid different rates depending on duty and experience? Exactly how many slaves can I carry away from Dubhtraig on a Sarvos-built caravel and feed on the way home, if I’ve taken 17 casaulties to the marines I added to the ships company?”*). *The answer to these, of course, is "Below the abstraction layer, we aren’t defining it in game, make up something plausible but don’t expect official confirmation/denial. " If you’re open to suggestions, and you and your friends are dead-set on different nations (it sounds like your ranger friend is going to be drawn to Navarr or the Marches) then how about this; your characters know each other, and perhaps by happenstance have all fought together in the past. The Black Wolf Company is something your character wants to happen, and maybe a banner that you already head, and you specifically want these people to leave behind their lives to come to the League and join you. Assuming your friends are fine with it OC, cajoling them into joining your nation and your banner will give you something to talk and argue about IC, a reason to seek each other out. And it still gives you impetus to try and fight together as a group whenever possible, to show how well you’d work together. And maybe that actually won’t develop into your friends changing nation and joining you. Maybe their allegience to their current nation will highlight fundamental differences in character. Maybe you’ll end up drawn to one of their nations. But finding out might be fun. Alternatively, if what you all really want to do is fight together, I would suggest getting together as a group, giving all of the nation briefs an overview, and picking one that you all think you can enjoy. I’ll also chime in that yeah, you probably need to have a chat with your friends, decide if you all want to go in as a group, then work out if there’s a nation that works, at least well enough, for all of you. Then build the group concept around that choice. Empire is a game with an ensemble cast. Groups are important, and if you can stick together you get much more out of the game. Especially as Wintermark and the League are opposite ends of the field. As Corinthus mentioned, Wintermark is huge, as in “it’s almost twice the size of other nations and bigger than all but 2 UK LARP systems”. And that’s not a great thing for incoming players. It’s harder to make an impact there as a small group, as there are far more people competing for quests, plot, Imperial positions etc. I’d strongly advise new players to any other nation unless all your mates already play there. You’ll have more chance to get stuck into things. Especially when you want to play mercenaries and the League explicitly supports this whereas Wintermark does not. I wouldn’t worry about base kits, a simple tunic and trousers will also fit Navarr, Marches, Varushka, Wintermark and Dawnish yeofolk easily. And as fighty PCs, there’s always a risk you get killed and need to roll a new PC. The League is a bit more difficult but the martial kit’s inspired by stuff it was easy for soldiers to make and repair. A slashed top layer will go a long way over the top of more generic stuff. The League’s quite interesting as a choice. If your friends want to be a ranger, or a big damn hero or whatever, they could play that as a role IC. When you go to battle, you could put on a mask. You become the Captain, or the Doctor (can also be a sneaky bugger not a literal Doctor), or the Witch and that is how you act when you fight. Then you take it off and you’re your standard bravo self again. The other rank which actually has a definition is a military unit commander, which I think is 100 people? I know I should know, I currently have one, but it’s a bit odd and a temporary arrangement. Strictly speaking, a military unit is the equivalent of 100 regular soldiers - but is usually a smaller number of more elite troops. They are a bit funky that way. It’s the Law of Convervation of Ninjutsu in action! One Hero of the Empire is able to command up to 100 soldiers’ worth of Whupass. The more soldiers in your unit, the thinner that Whupass is spread across each soldier. 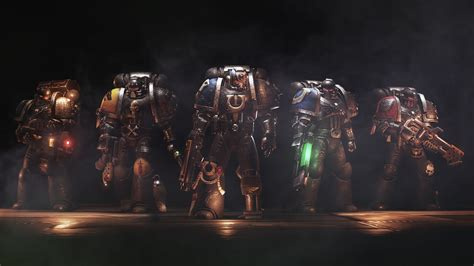 You upgrade your military unit by using Wains of Mithril to construct Cans of Whupass, meaning you can issue additional Whupass to each soldier, or recruit more redshirts with the minimum One Can of Whupass each. One Wain is sufficient Mithril to produce 20 Cans. I think this is a cool idea. 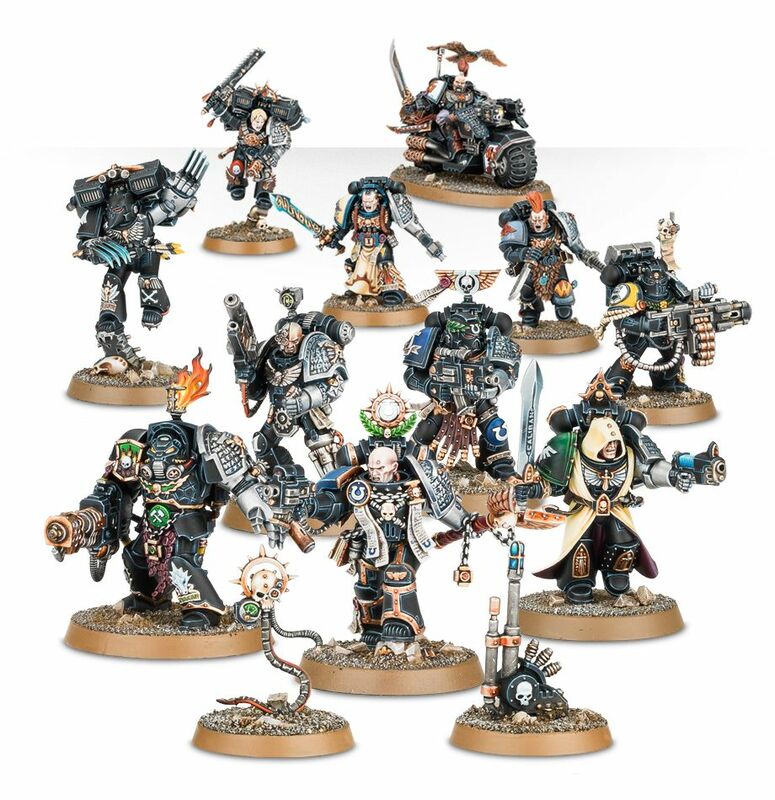 I don’t know how well you know warhammer 40k - but I thgought deathwatch could be a good metaphore for how you could pull this together. Normally in 40k alll space marine units are from a single chapter, very occasionally deathwatch will put together a team of space marines from different chapter; they repaint their armour black except right shoudler pads, and they use equipment from their old chapters. Pulling this together, if you got some imple leaguish clothes and roughly followed the league brief but each character had some things that relate them to their cultural origins, you could have a group that would be able to skirmish together, go to battles together, and have all kinds of fun a s a group whilst letting the players be what they want. You have to be careful with that kind of thing. A former Wintermarker who is now in the League is a Leaguer, connected to their new nation by the egregore bond. The change is not immediate, but their new culture will begin to feel natural and right, and their old culture will begin to feel foreign or silly. So markers of former nationality would have to be small things, and preferably physical items that a person of the new nation wouldn’t feel any rush to abandon. Something relatively brief-neutral, like a brooch with a design tying back to an old Hall, would be perfectly acceptable. By contrast big steinr hero belt is something that is tied to the Wintermark brief, and using it for more than a few seasons after changing nation would be odd at best. Also I think doubly important is the archetype briefs and how they effect behaviour. A WM Banner-Bearer migrating to the League doesn’t necessarily have to become a Bravo, but they must stop being a Banner-Bearer. Their history as a Banner-Bearer might (and probably should) inform how they approach their new place in the world, and they might still approach fighting alongside allies with the goal of upholding morale and uniting their group, but they must do it in a Leaguish way. The briefs are kept distinct for a good reason (i.e. to make everyone feel cool and special), and if someone does want to play with them in this way, it’s important to approach it carefully. RomanHeretic – welcome to Empire. •	Playing a mercenary is difficult. The majority of battles/engagements/fights already have willing volunteers attending. Why should I pay you, when I can have fighters known to me for free? Not to say you can’t have hired mercs, but in the same way, you can have soldiers coming to your aid because they know you/out of solidarity etc. There is still some epic game here. You need to be proactive in finding it. Following the context points above, you need to do the legwork and truly understand your market. Why should powerful senator/general/mage trust a random group of mercenaries over their own nation, house, banner etc.? Trust here is essential, so do your homework, work out who/what nation might need support and do the legwork to pitch why you are the best person/group to support them. A lot of people can IC/OC they are amazing fighters or have X experience, but can you prove it to your client? Expect to do a job or two for free or at a major discount, to prove that you are as good as you claim. Sure you could prove you are the best fighter in the League/dawn etc. and guard someone on your own… but on the battlefield having five mates with you is a superpower in itself. This is doubly important as a mercenary group/company because you need to actually have “impact” on the field to show that you are worth what you claim. 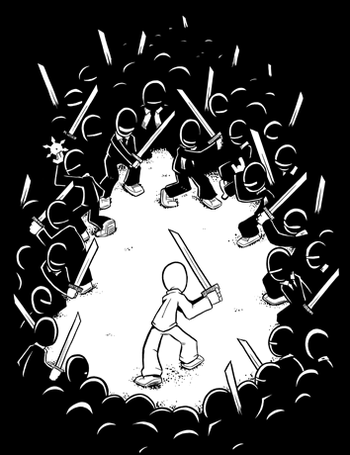 If your just a random group of people in nondescript armour then you could be anyone. How can I tell you apart from other fighters on the field? In a similar vein congratulations, you are a fighter in chain claiming to be the best fighter in the empire… but you look the same as any fighter – make an identity for the character. This is even more important with your proposed group – as otherwise it will just appear that some very poor bravos with trappings of other nations are a loose clump. If you are mercenaries and following cash above all else – look the part. The kicker here is the mechanism for being a mercenary. Sure you can create a group of fighters from different nations for skirmishes, but if you want to take the big battlefields as a group you either all need to be in one nation for you all to go, or have a merc banner to fight on a different day from your nation but this again requires you to all be in a single band. Either way you need to all be in the same nation… there is no other mechanic for the large scale battles at present. If you try and form a loose collective of fighters of different and go to the big battles, those people not of the relevant nations fighting that day – will bounce off the gate IC. This is deliberate as the gate is activated by nations hearth magic, and some of your members hearth magic will be missing. Hearth Magic is a real deal thing in the game world – the bond of an egregore is subtle but extremely powerful. So sure you could have a collective of fighters from different nations in say the league – but the egregore bound will make each be a leaguer. Not a wintermark, or a Navarri, or a Dawnish knight playing at being a leaguer – but an actual member of the league. This bond grows overtime and is ever strengthening… or in other words a wintermarker joining the league will gradually feel they don’t feel “right” in wintermark clothes. They will want to dress like a bravo, act like a bravo, and care for Leaguish things. This is an IC deliberate mechanic for the OC reason of not wanting every nation to become homogeneous blobs of different looks. Each nation is meant to portray a unique culture that is deliberately different from each other. This mechanic is reinforced in the game – so if you are playing a wintermarker who is OC in the league, you will miss out on plot and opportunities from both nations. Why should an egregore of the League trust someone who dresses as a Steinr? Should a stormcrow trust a Skald who dresses as a leaguer? So if you want to do this – I think you need to consider all being in the same nation. It’s a lot of fun to play a mercenary if you are willing to put the effort in. Sounds a fun concept you are developing, so give it a shot!